- Provides full painting tools for editing images. - Support loading frame images from video files such as AVI, MP4, FLV, etc. Produce high quality and impact animated GIF Images which takes less disk space and to be loaded faster. Preview optimized GIF pictures frame by frame and adjust the optimization options if needed. Build vivid GIF animations with the effects by one click. Preview impressive animations which is built by selected effect. Each effect often includes many options for adjusting and setting. Image Selection tools includes Magic wand, Lasso and other geometry shape selection tools. With which, to select the concerned proportion of an image,and then paint, edit, cut, copy, crop or clear the selection. Supports to scale, move, rotate, mirror image layers and paint freely on them or erase proportion visually. 60+ Image Filters. To adjust colors or alpha channels and blur, sharp, denoise selected images layers. Supports layer editing and undo redo anywhere anytime. Comes with 2000+ pre-designed symbols. Shapes and texts can be added freely and be filled stroke with solid color and gradent colors. 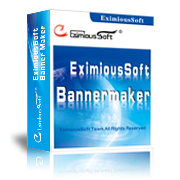 Provides many text transition effects to create attractive banners within few clicks. Supports loading frame images from up to hundreds of video format files like AVI, MP4, MOV, FLV, WMV, WebM, rm, dv, f4v, MKV etc. 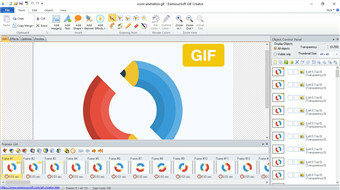 Supports highly visual cutting of a part of the video to convert it to a GIF animation. Allows to save whole animation or separate frames to GIF, AVI, SWF BMP, PCX, JPG, TIFF, PNG, TGA, PSD, ICO, CUR, ANI ect. files. Supports to add frames, delete frames, duplicate frames, blend frames and adjust order. Supports to load frames from most popular image format file and AVI video file. 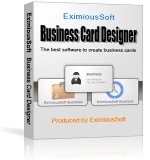 Resize animation, resize canvas, set loop times and edit delay for selected frames. This is a great GIF creator. 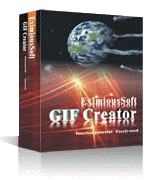 In fact, according my experience from using it, Eximioussoft GIF Creator is the best from all software in its field. It is very effective, it provides a great number of effects and the use of it gives a hight quality resault. Produce high quality and impressive banner ads. web buttons and headers etc. web graphics.